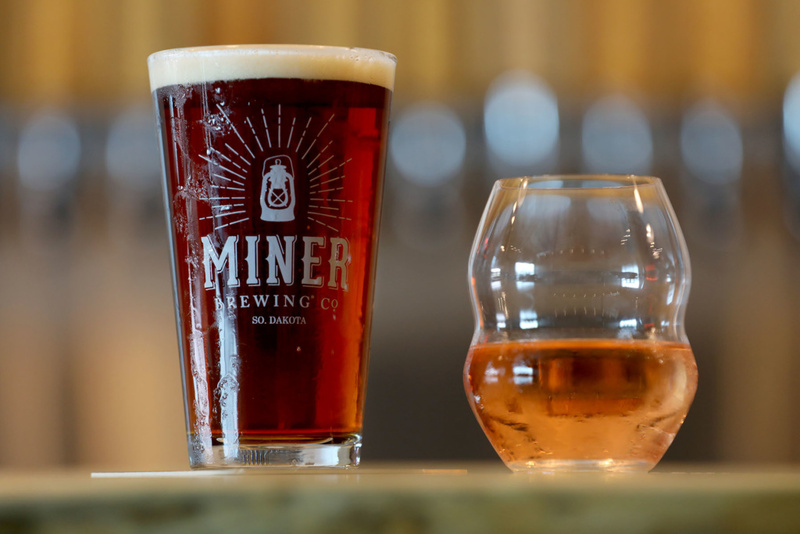 Along with its new location and new name, it’s a new look for Miner Brewing Co. and Prairie Berry Winery Taproom. The former Prairie Berry East Bank opens at 3 p.m. today on the south side of the Western Mall at 41st Street and Western Avenue. 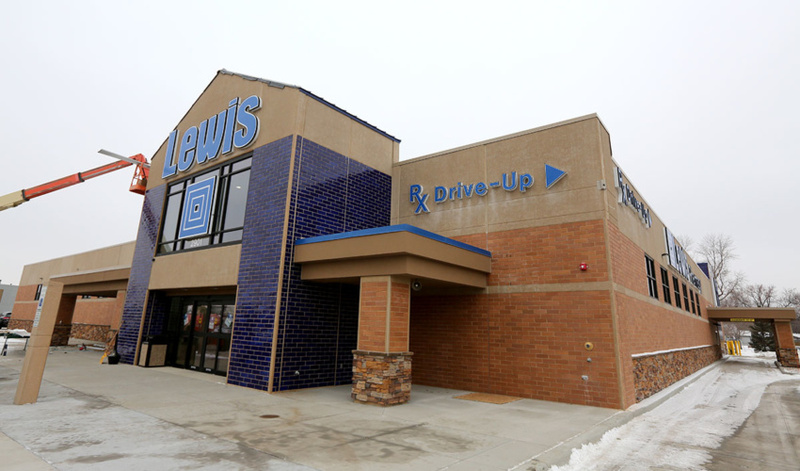 “We still need to do the finishing touches, but we are opening,” said Angela Avila, director of sales and marketing. 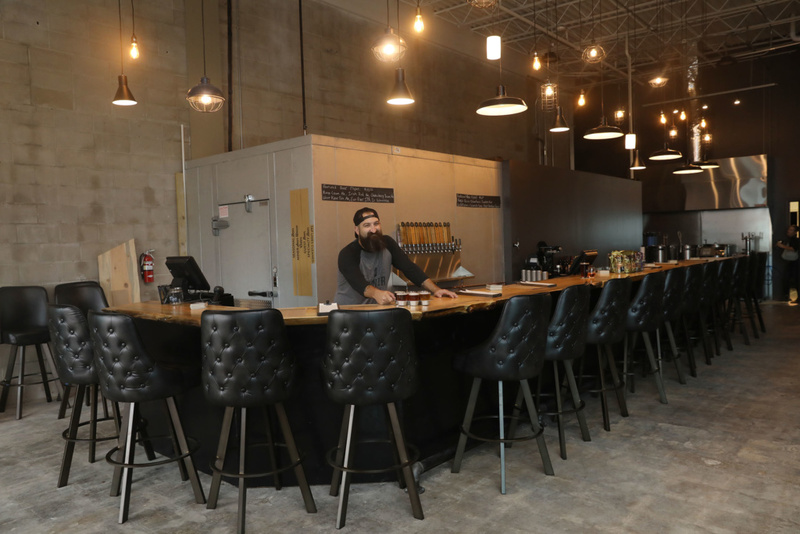 The taproom, which Avila describes as a beer hall more than a bar, has an industrial feel. One wall is concrete block, the metal framing in the ceiling is exposed, and the fixtures are furnishings are dark. The original home was in a restored warehouse downtown on East Eighth Street with quartzite, wood and a tin ceiling. 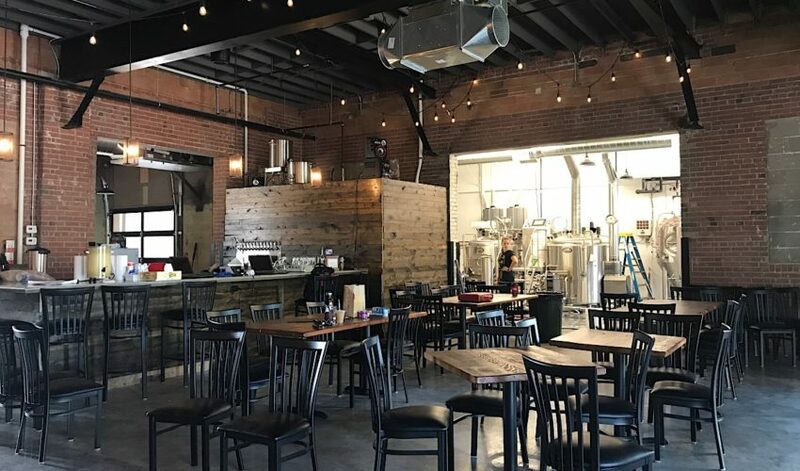 For the opening, Miner Brewing will feature 13 of its craft beers on tap, including new releases Oktoberfest, Pineapple Perry, and Stampmill Stout. Pumpkin Bog, Prairie Berry Winery’s seasonal fall wine release, will be available along with over 20 other wines, including wine on tap. Miner Brewing eventually will seat 90, but some of the picnic tables haven’t arrived yet, she said. The long bar is lined with midcentury-style high-back chairs. There isn’t any outdoor seating yet. 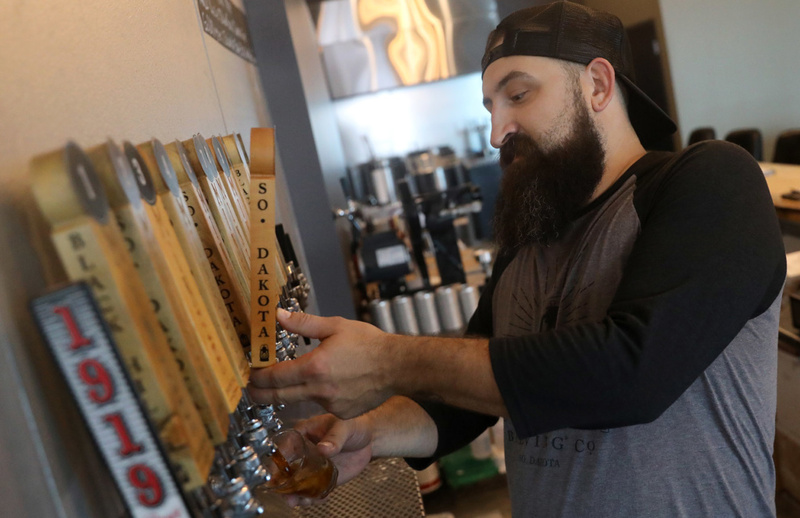 “Our long-term vision is turning the parking lot in front of us into a patio,” Avila said. The city and owner of the mall will have to agree to that first. Another change with the new site is the lack of a kitchen, keeping the focus instead on the beer and wine, Avila said. 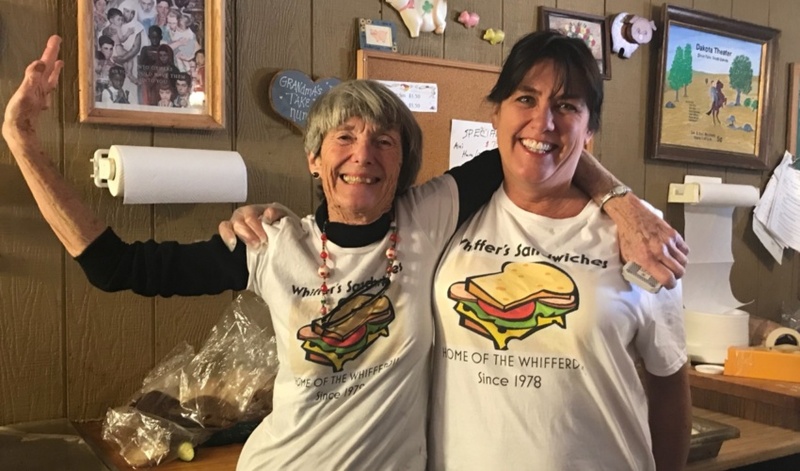 Customers can bring in food or have it delivered there, and nearby Potbelly Sandwich Shop already has agreed to bring orders over for customers, she said. 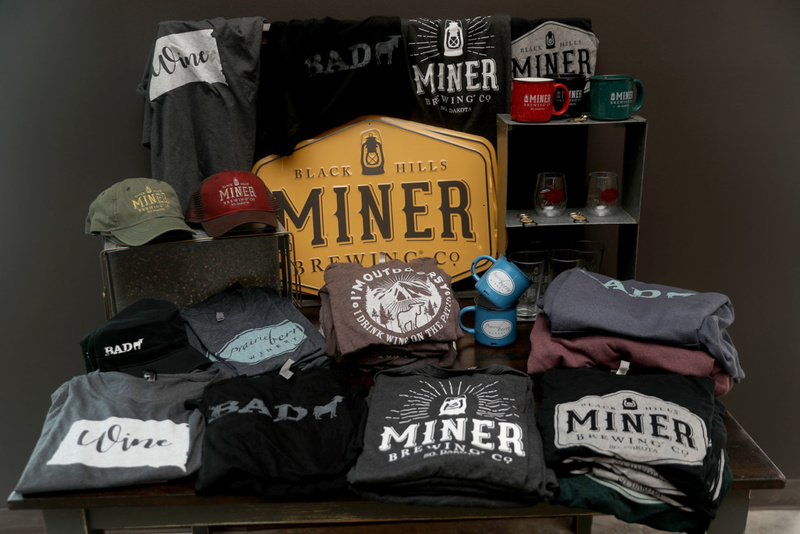 Miner Brewing also plans to invite food trucks to park outside. 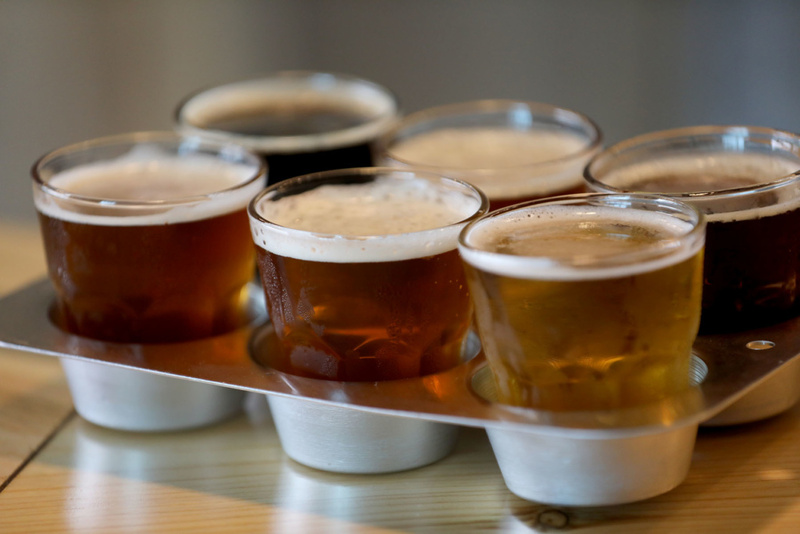 On the entertainment side, the popular Craft Beer & Bing events return Oct. 20, and the taproom plans to offer educational beer and wine classes eventually. Also yet to come are a couple of TVs. 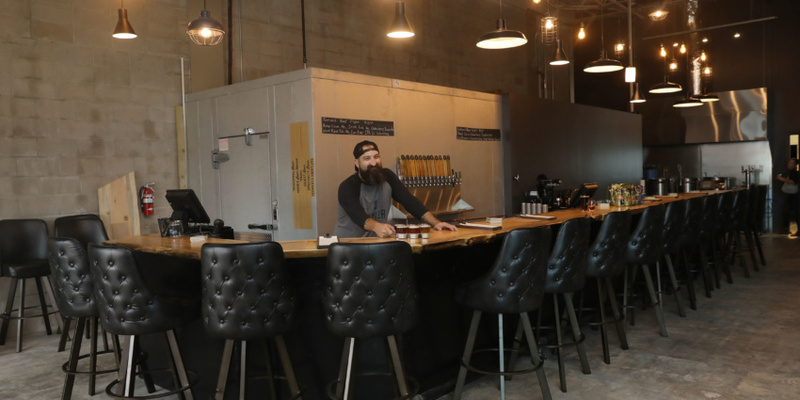 “We won’t be a sports bar, but we will have a couple of options for watching games,” Avila said. 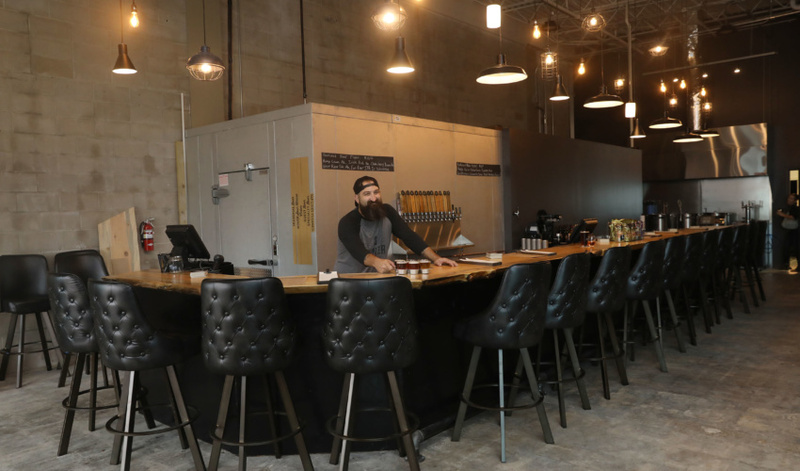 Customers also will be able to watch as co-owner Sandi Vojta, the brewmaster, makes small batches of beer occasionally in the pilot brewing system that’s along the back wall. Vojta spends most of her time in the Black Hills where the brewery and winery are based. “Of course, that’s a centerpiece here,” Avila said of the brewing system. Prairie Berry East Bank’s location, which closed in April, didn’t have any equipment. 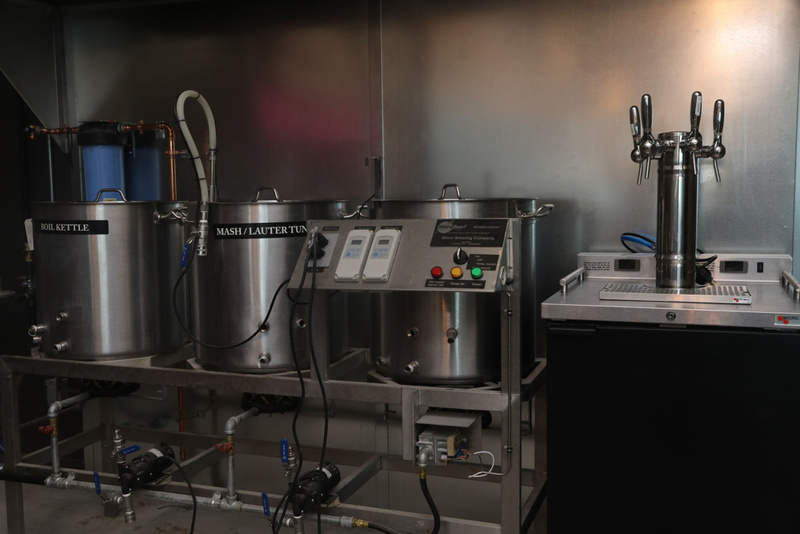 The brewing equipment emphasizes the business’ shift in focus as well, Avila said. Hours will be 3 to 10 p.m. Tuesday through Friday, noon to 10 p.m. Saturday, and noon to 6 p.m. Sunday. All ages are welcome.